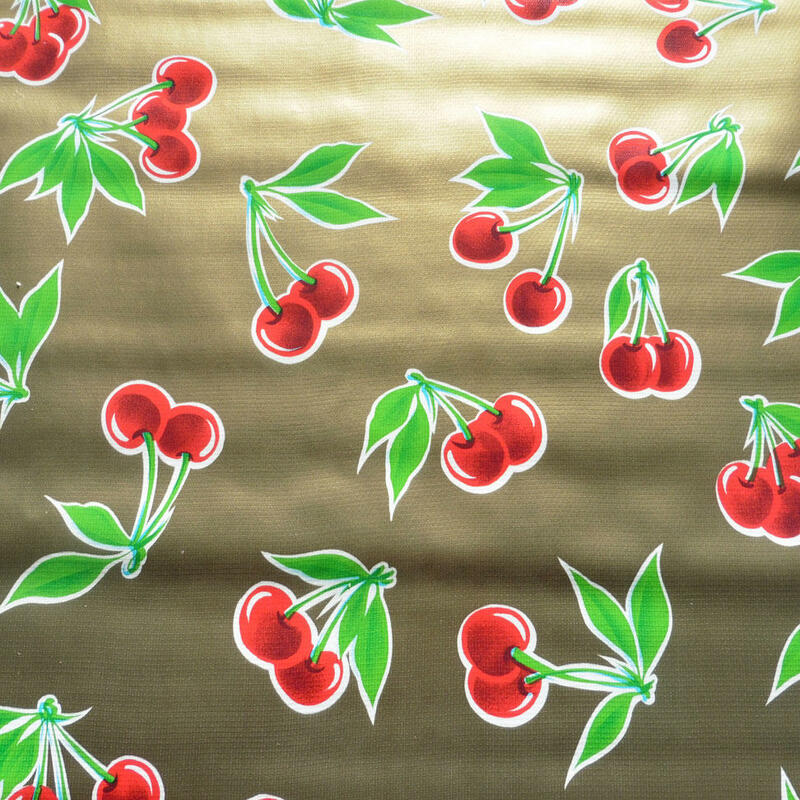 Warm Colour Oilcloth - Lovely floral and fruity oilcloths in shades of yellow, orange, pink, gold and red. 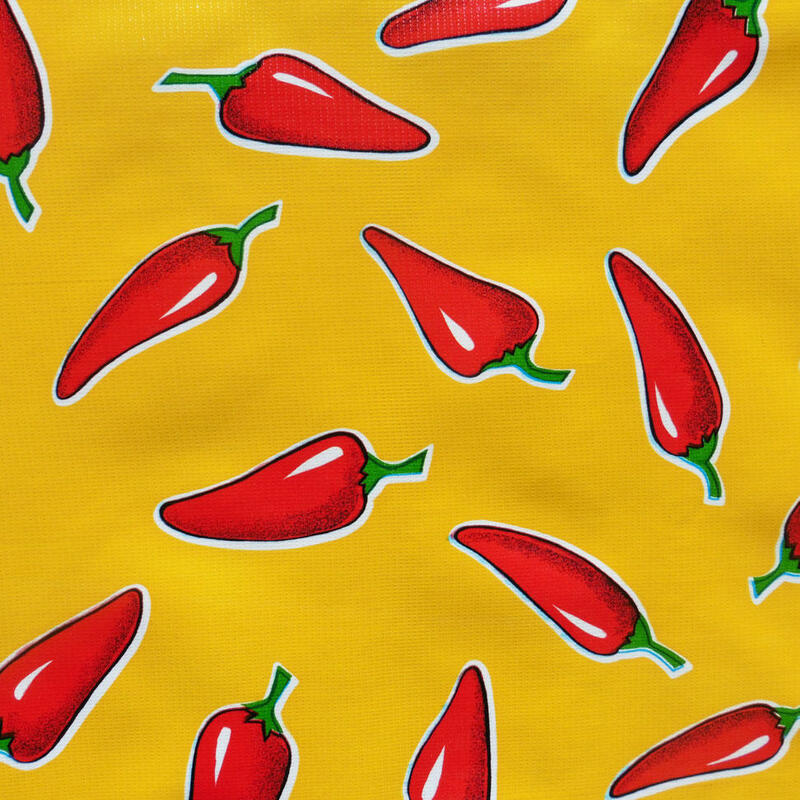 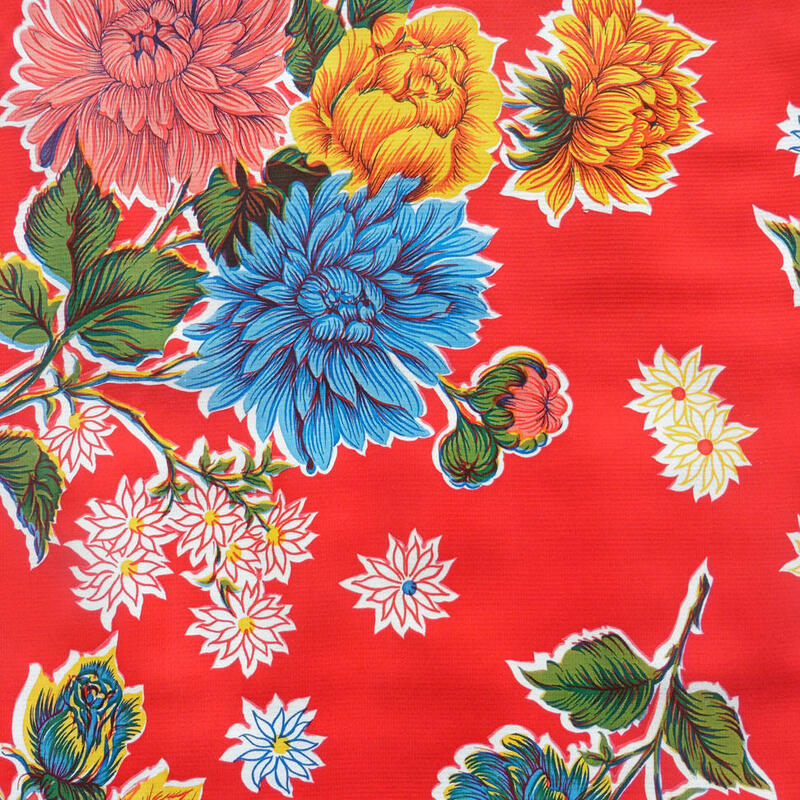 We are oilcloth specialists and have been importing Mexican oilcloth for over a decade. 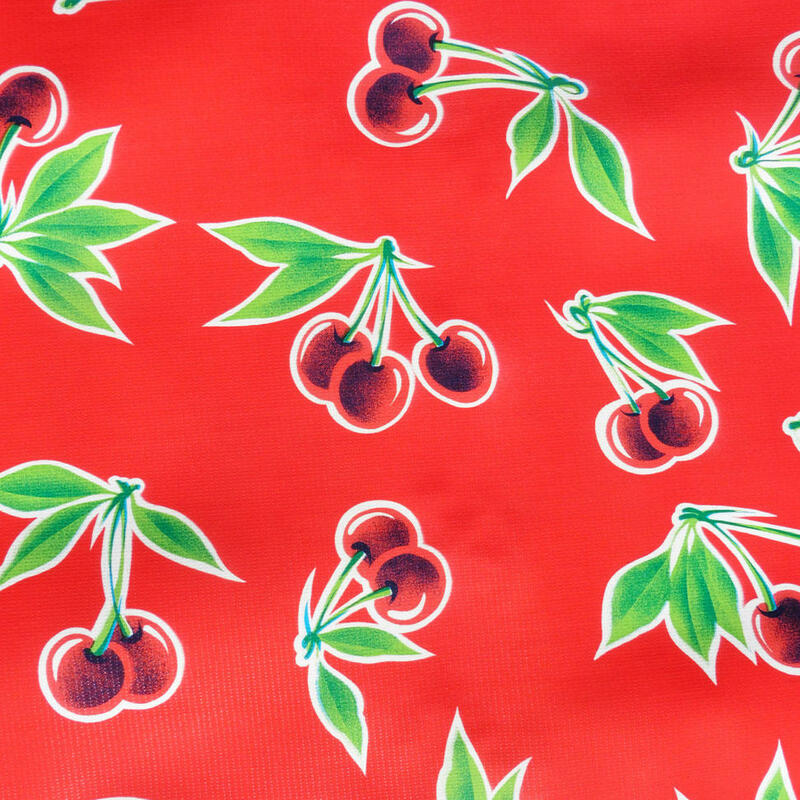 Oilcloth is a durable, flexible, vinyl-coated fabric. 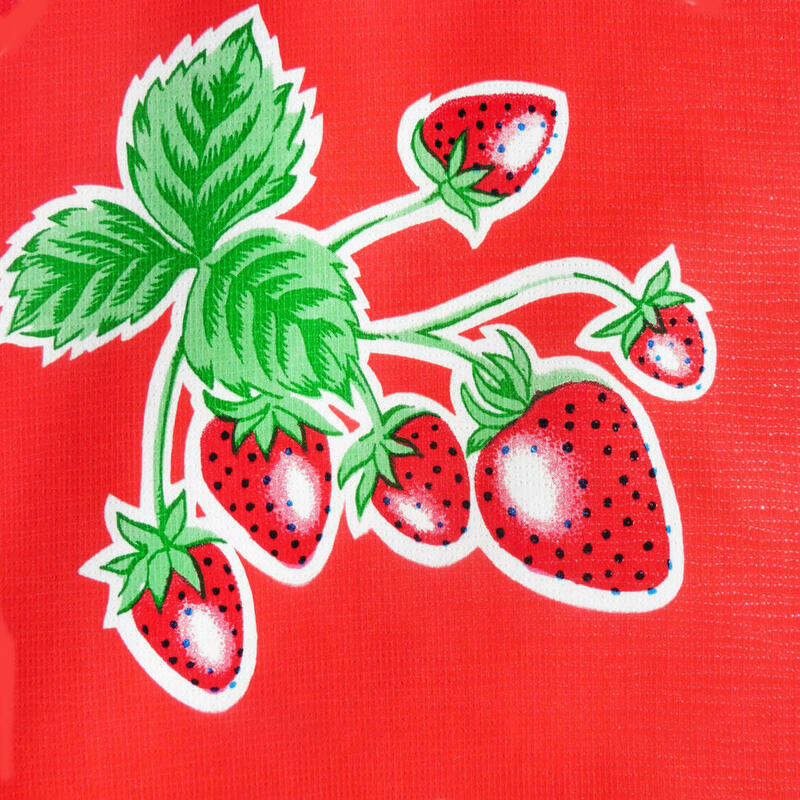 It is stain resistant, hard wearing and 100% waterproof. 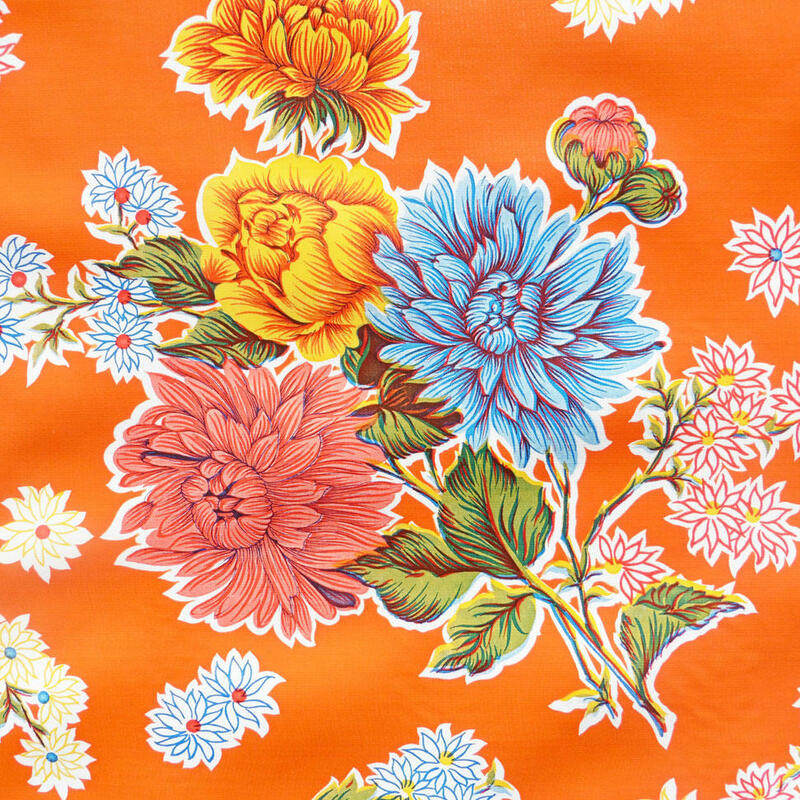 Many of the designs we stock are traditional Mexican patterns originating in the 1940s and 50s. 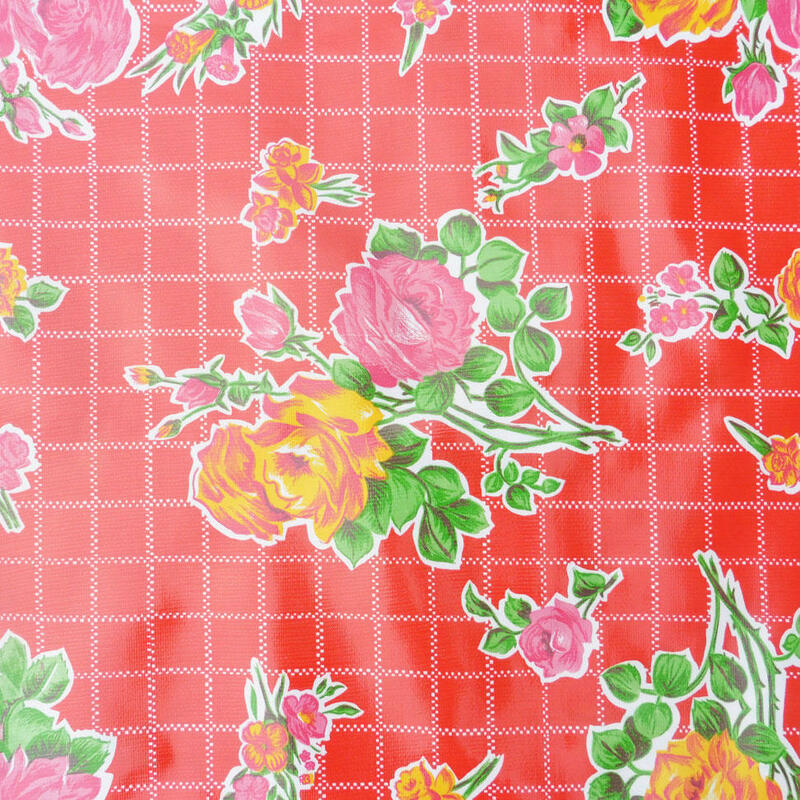 Oil cloth has many uses, great as tablecoverings for indoor or outdoor use and also for crafting and interior design projects. 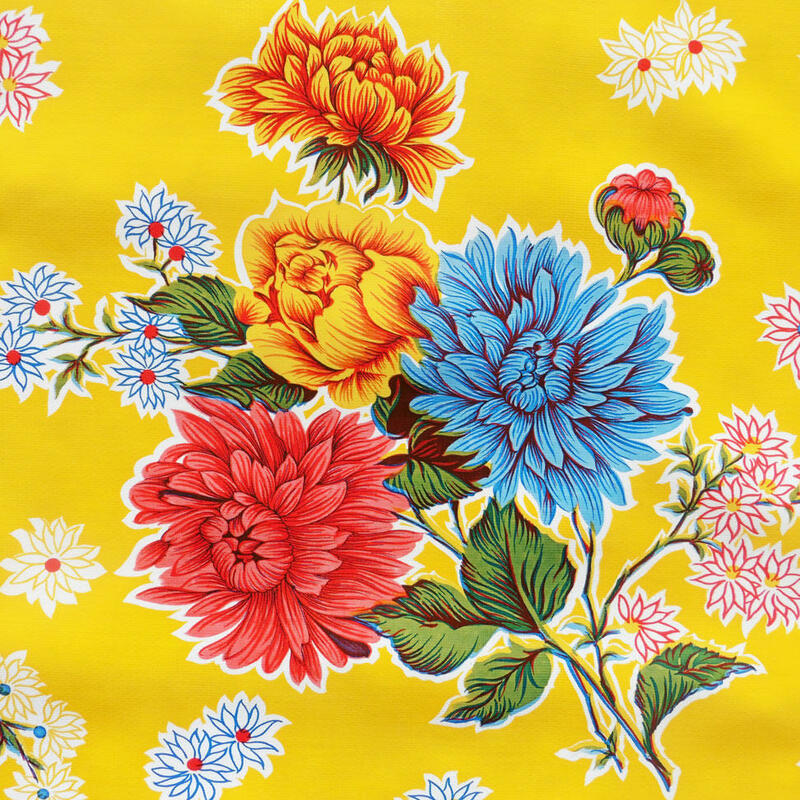 It is ideal for cafes and restaurants, weddings and colourful celebrations. 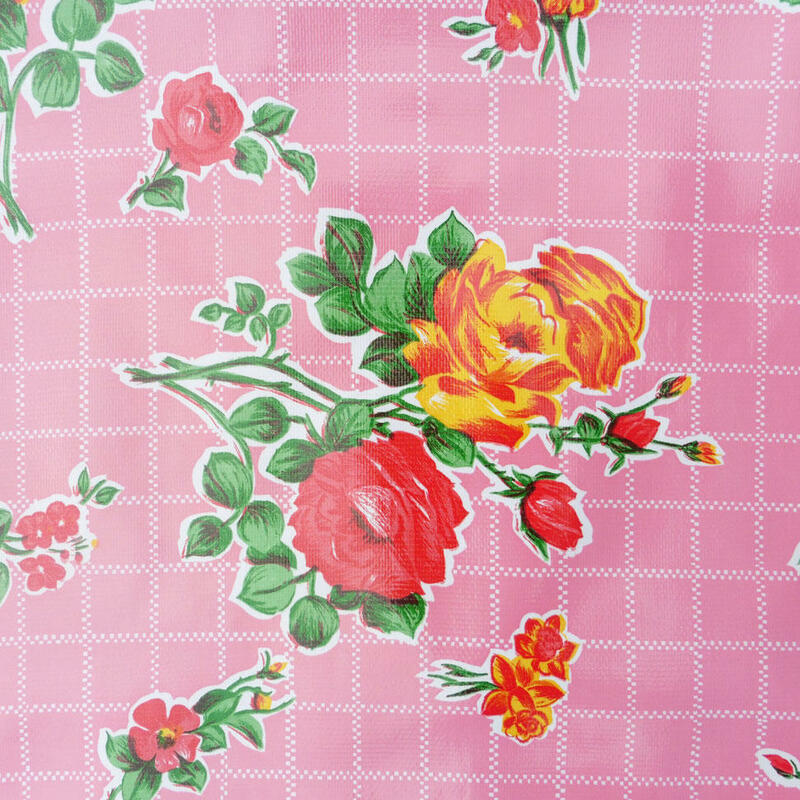 Most of our Oilcloth is 120cm wide although we do have a few 140cm options. 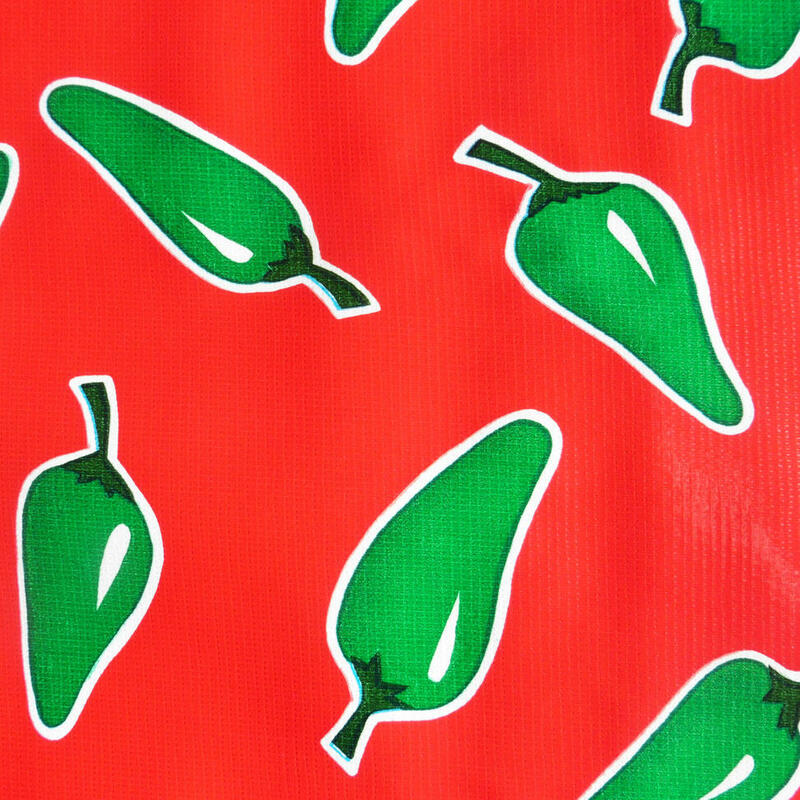 Please note - The printing process used to produce the Mexican Oilcloths occasionally causes slight off register markings or imperfections. 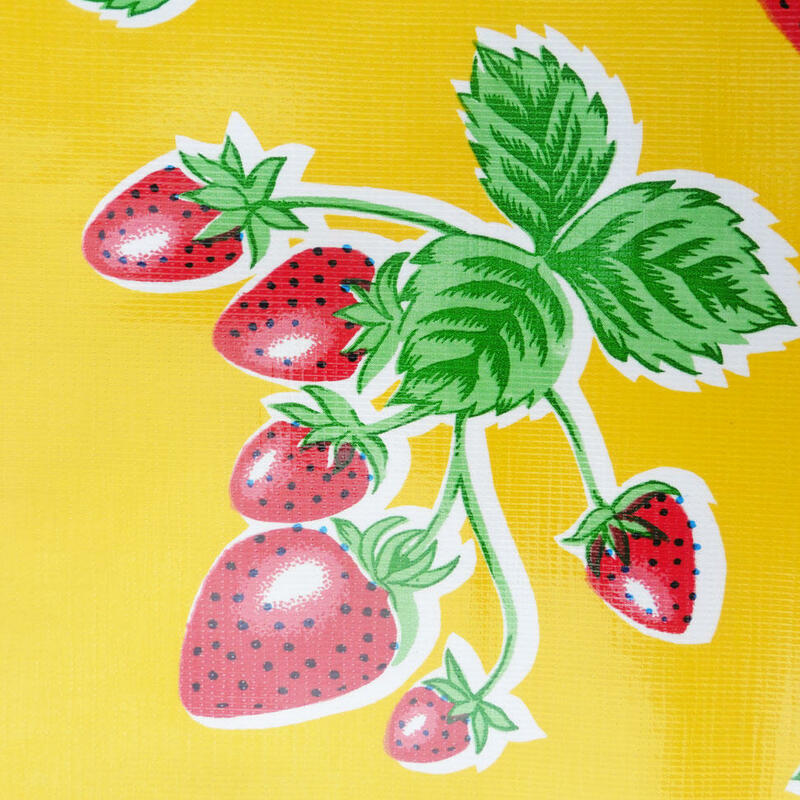 This is a feature common to all Mexican Oilcloth.